It needn't be National Volunteer Week to benefit significantly by giving back. Life is busy. Between work, relationships, parenting and other commitments, time is at a premium. 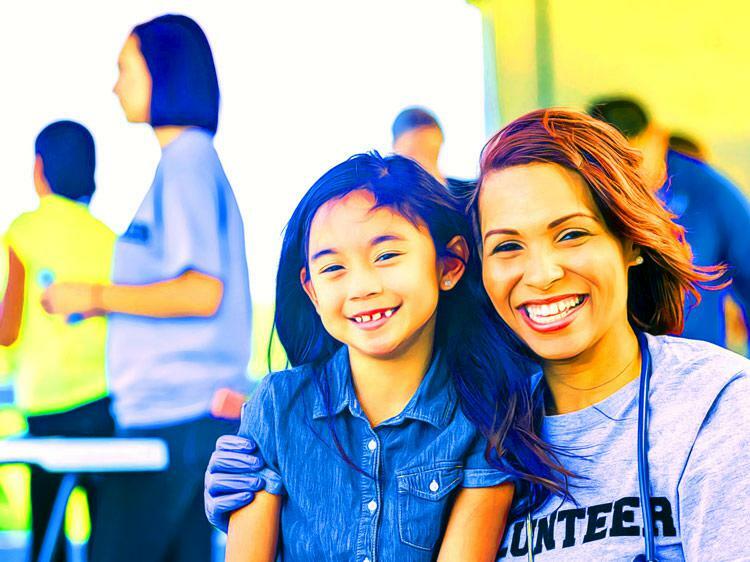 Yet there is an additional activity that can enrich our lives when possible to fit in: volunteering. Contributing to a cause makes us feel even more fulfilled. Paying your good fortune forward will be very valuable to you, both professionally and personally. Non-profits exist for just about any societal need. No matter what your deeply held convictions may be, there are roles that we can play. My personal interests involve supporting women and youth. In line with that, in 2017 Monster Canada was very involved in the Shoebox Project which collects and distributes gifts in the form of Shoeboxes to women who are homeless or at-risk of homelessness in communities across Canada. This year we are dedicating more time to serving our communities. Devoting part of our limited time to a cause can be challenging. I say that from experience. Regardless of what we can spare, there is satisfaction in doing something hands-on. We are needed and appreciated immensely. The simplest way to give back is to leverage existing abilities. For someone like myself, this has meant showing people how to network, interview, and write resumes. Doing so with unfamiliar audiences compels us to go beyond what we already know. As well, there is much to share from rising into senior positions. Leaning in. Dealing with concerns such as sexism that can create glass ceilings. Tutoring others on sensitive issues can improve coaching skills noticeably. Just about every skill set is in demand for volunteers. Marketing, accounting, IT, sales, and even providing a listening ear. Practicing our craft in new environments makes us more flexible. While volunteering, we meet people from diverse backgrounds. Getting to know other cultures, belief systems, and ways of approaching life is a privilege. Whether aiding a project that works with disadvantaged women, youngsters bursting with aspirations, or business professionals from different industries, the connections are inspiring. Mutual discovery broadens perspectives. Doors can open with referrals from these new contacts at vital points in our careers. Reciprocating, if appropriate, is deeply gratifying. The value of volunteering is clear throughout a lifetime. As a student or recent grad, it can fill resume gaps. Experience gained, and references earned demonstrate worth to an employer. This holds true for established workers too. Picking up new skills, and seeing how various organizations function from within, are valuable perks as well. There may also be potential for turning unpaid work into a paid job. An unanticipated reward is how much we learn about ourselves by helping others. When mentoring young women at work, for instance, my views have been challenged in surprising ways. It leads me to re-examine my assumptions about preferred work style and culture, leadership approach, and where development is required. All this from stepping up when we can. There are causes out there that would be excited for you to get involved. Practically speaking, it's worth answering the call. Are there additional benefits of volunteering that you would like to share?